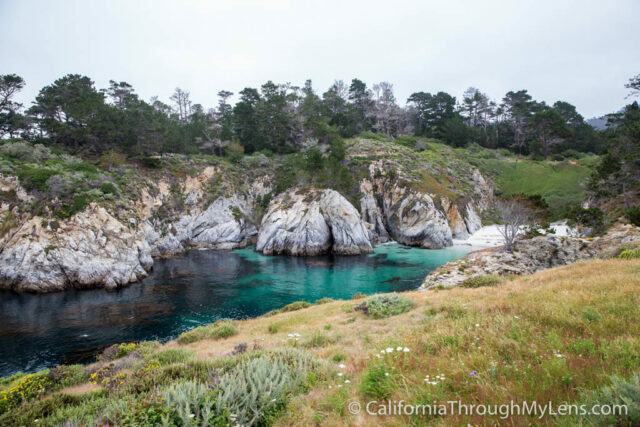 Point Lobos State Natural Reserve is by far one of my favorite state parks in all of California. 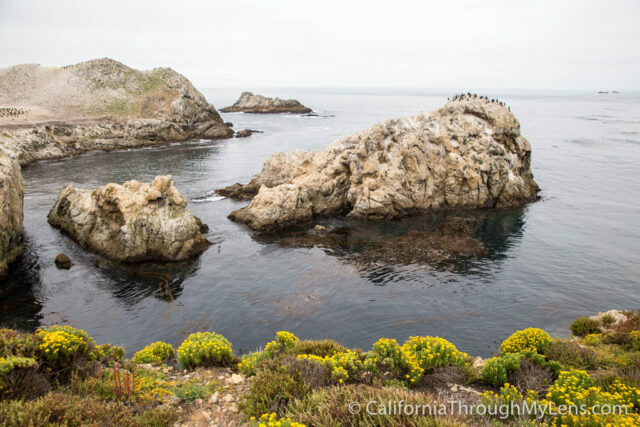 The majestic piece of coastline it protects is some of the best in the area, even comparable to the Big Sur area to the south. 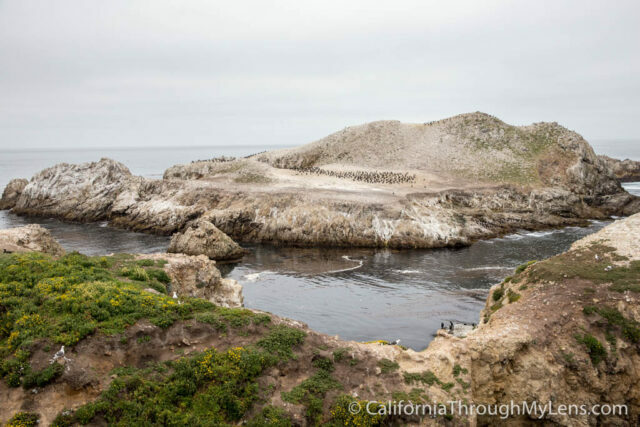 I got a chance to do the Bird Rock Trail and Cypress Grove when I was in the park, read all about the Bird Rock Trail below. 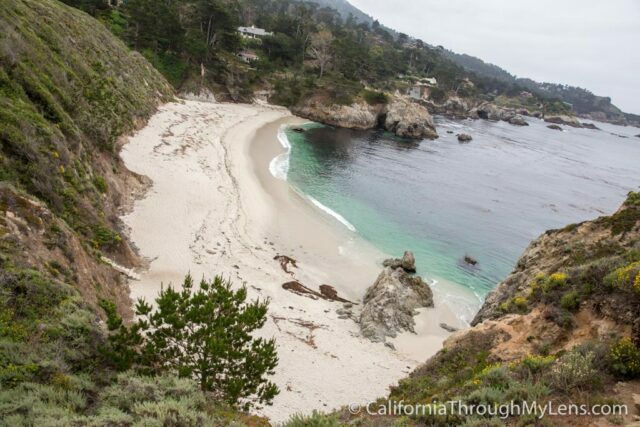 Point Lobos is located off Highway 1, just South of Carmel. After entering the park, you will be given a map that will show you where to park for the trailhead. The parking lot holds about a dozen cars. 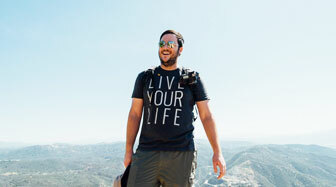 The hike begins by taking you up a small hill and from there hugs the coastline for the entirety of the walk. 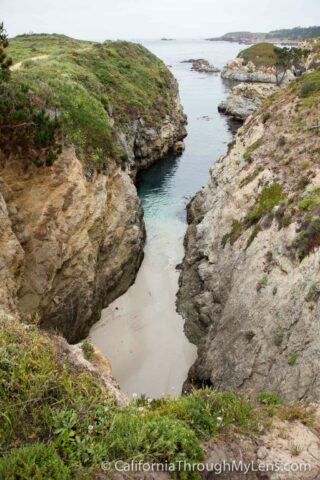 It then provides views of China Cove below which is a picturesque place that you need to see yourself. 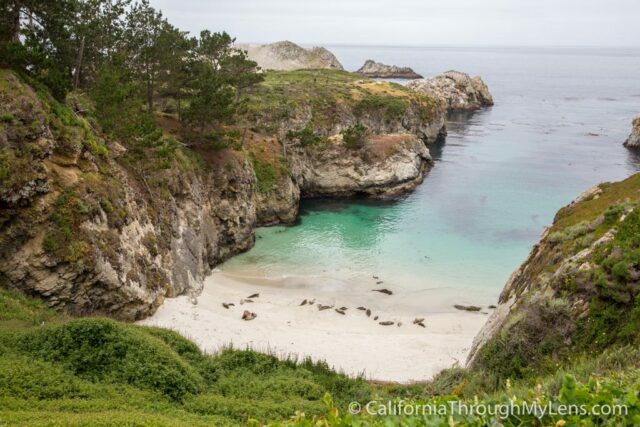 China Cove is a breeding area for sea lions, so it was closed off when I went, you could even see sea lions sitting below on the sand. From here you can also see bird rock in the distance which is a massive rock out in the water with hundreds of birds sitting on it. 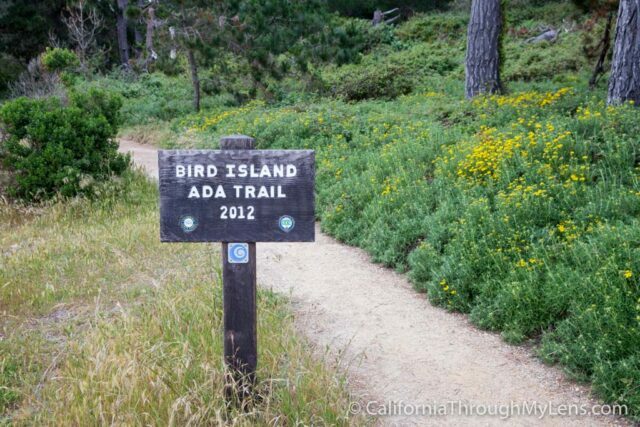 This is the destination for the hike. 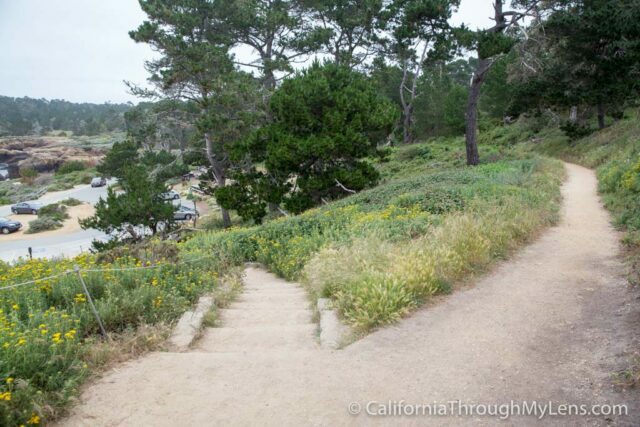 The trail then bends around a small hill and shows you Gibson Beach below you, another beach you can walk down too. 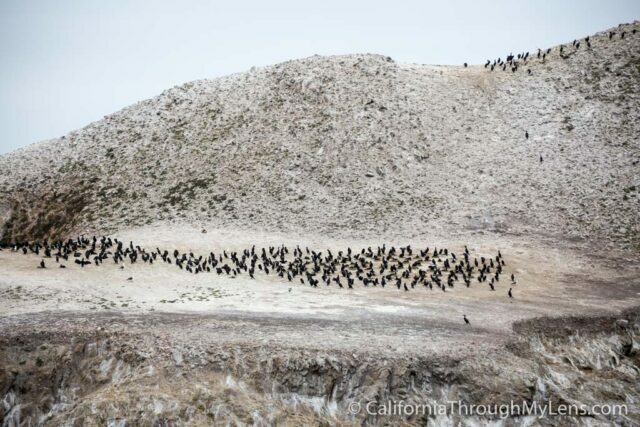 It then heads around to Pelican Point, which is the ultimate end goal of the trail. 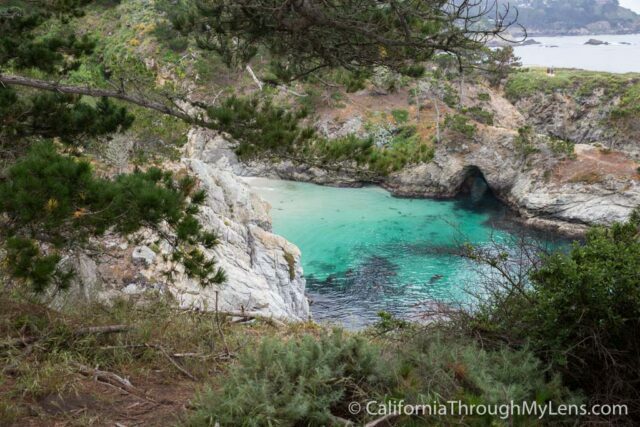 There is another small cove that you will pass here, and that provides another awesome photo opportunity. 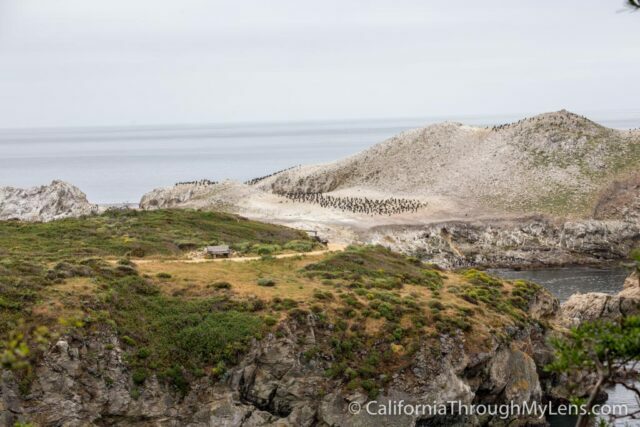 The trail then ends at the lookout point for bird rock which is a flat area that provides an excellent 180-degree view of the coast and the birds. I found this spot to be awesome as there were so many birds and they were all collected on a few small rocks. 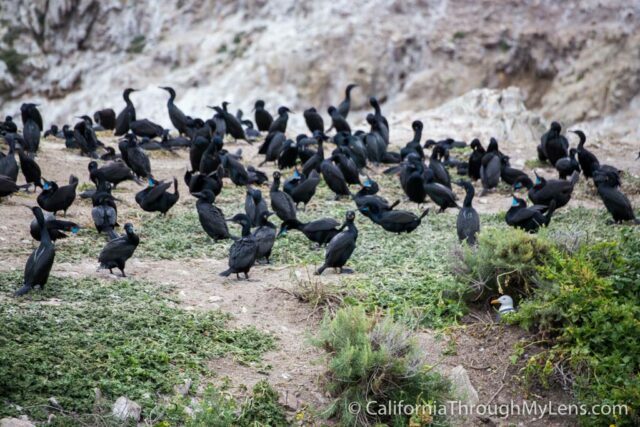 I especially liked the seagulls that looked like they were infiltrating the other black birds. 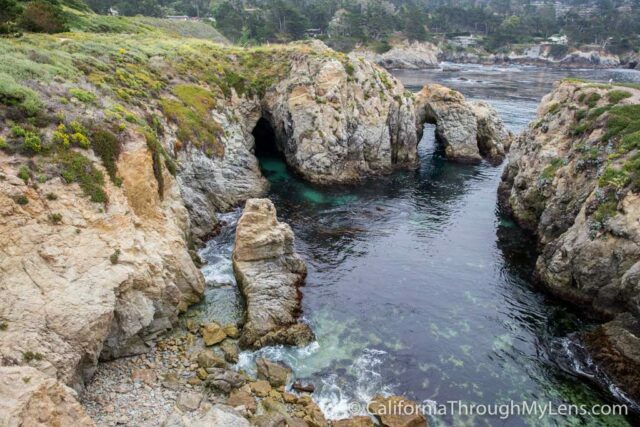 There is also a rock arch in the water to the left of you that you can see as well. It is beautiful and another great photo spot. 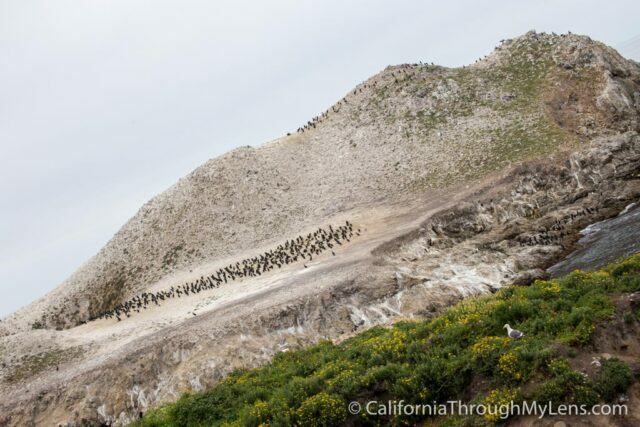 After that, you will head back the way you came, but make sure to take your time as this truly is a great wildlife viewing area. 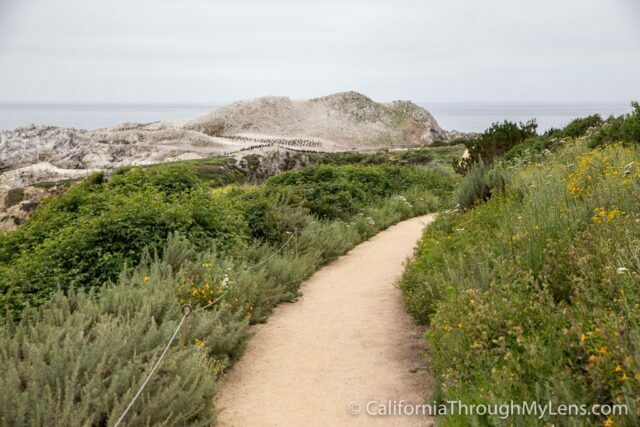 As you can see, Point Lobos is amazing, and this is only one of the many trails. I can’t wait to go back and explore more, let me know what your favorite trail is in the comments below.